Found a few seams of calm weather in an otherwise windy stretch of days. 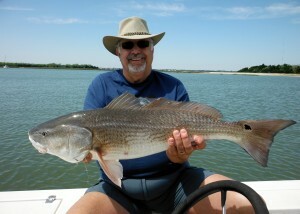 We were able to pole on the flats and the redfish clearly did not mind the bouts of choppy water. Schools of redfish could be seen flashing their bellies in the sun as they fed. There were no takers on artificials so we switched over to cut mullet. It sure did the trick as we caught redfish up to eleven pounds. The bite stayed on for a solid two hours until the water got up into the grass. Finally, a wonderfully sunny day with moderate wind! 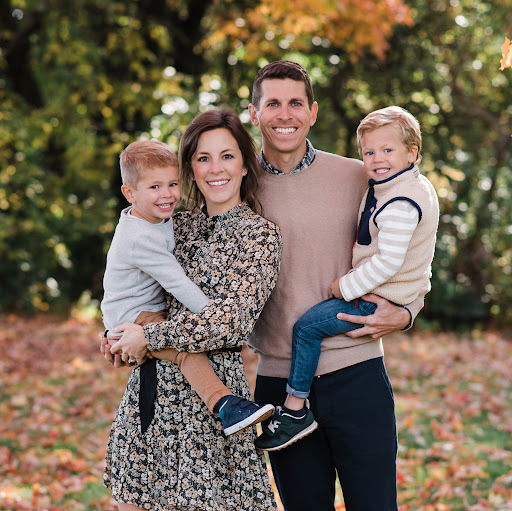 The Negrete family sure brought the good weather with them. Started at high tide and found no takers on mud minnows under corks. Once the water came out of the grass at mid-tide, the redfish would smoke the cut mullet in front of their path. 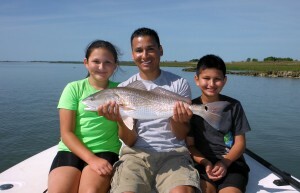 Bella’s 26″ redfish was the highlight of a happy family trip. As we left the dock, one of my clients mentioned that he lived in a prolific fishery and knew we would likely be catching smaller redfish. At our first stop, we put out chunks of blue crab and cut mullet on circle hooks. 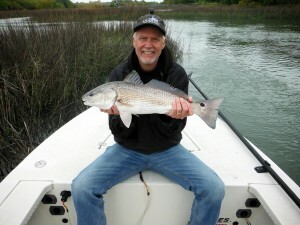 The rods bent over again and again as the redfish came out of the grass. The fish favored the cut mullet. 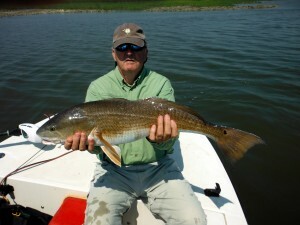 The last redfish was a bruiser that weighed in at 14 pounds. Somehow, I think Charleston’s fishery can hold its own. Lots of cold days and nights during March kept thoughts of traditional Spring fishing on the back burner. With highs in the 70s forecast over the next ten days, let’s hope we have turned the corner. Warmer water temperatures should bring out the trout bite while anglers can still target redfish in big schools. 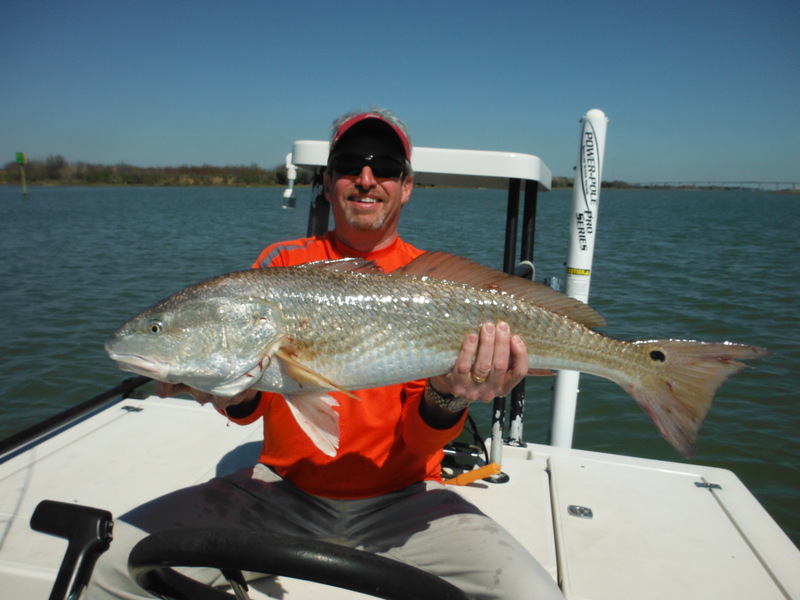 Unlike most years, redfish remain in their wintertime schools that can number as many as a hundred fish. They are still spooky but becoming more aggressive as the arrival of bait turns them into predators again. 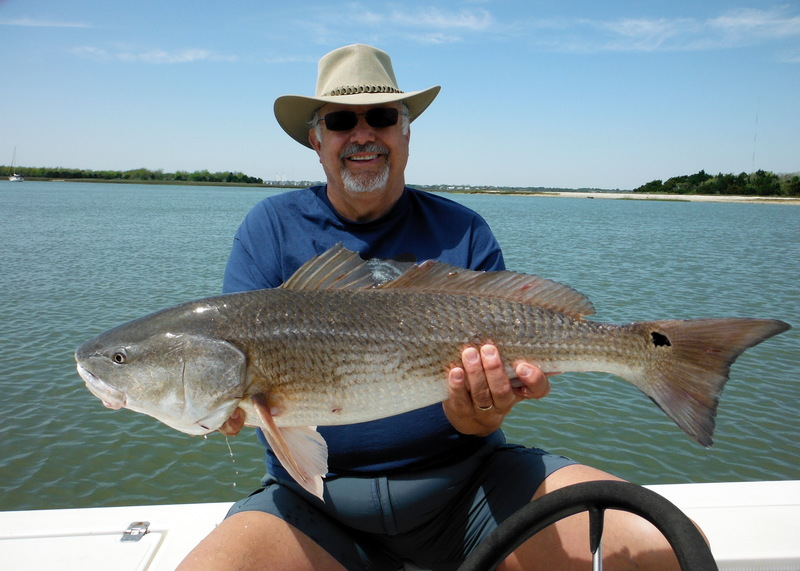 The easiest way to target these reds is using cut bait or better yet freshly cracked blue crab fished on the bottom. 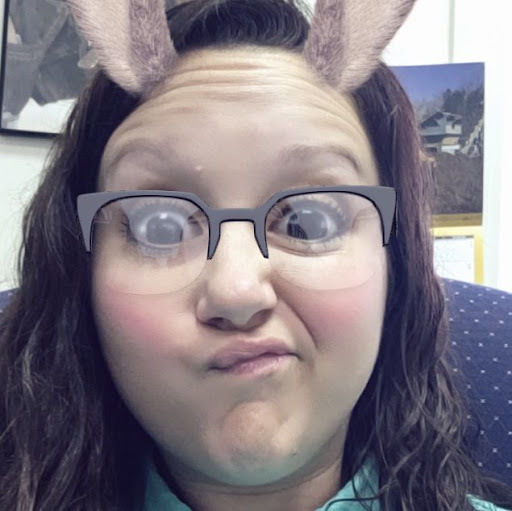 Be patient and let the schools come to you. If they think eating is their idea, they’ll most likely take the bait. As trout become more active, popping corks cast along grass banks and over oyster beds will be a good bet paired with mud minnows and live shrimp. I usually use a 18”-24” leader and a size 1 circle hook. When working the popping cork, always try to keep slack out of your line and when that cork drops just reel tight to set the hook. You’ll find that the circle hook will do most of the work for you. For both redfish and trout, mud minnows paired with a jighead have been working well especially around docks and structure. I’ll use a 1/8-1/4oz. jighead and hook the mud minnow under the bottom lip and out through the top lip. Work these baits slowly and try to bump them along the bottom where oftentimes you’ll get hit as you lift the rod tip. 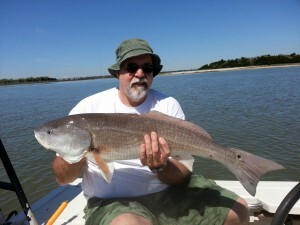 Redfish remaining in big schools has been a boon to flyfishermen eager to stalk these fish on the flats. To avoid spooking them, we’ve sometimes been casting well in front of a moving school and only begin moving the fly with quick small strips once the school is almost on top of it. On recent charters, black wiggler flies have been the most productive.